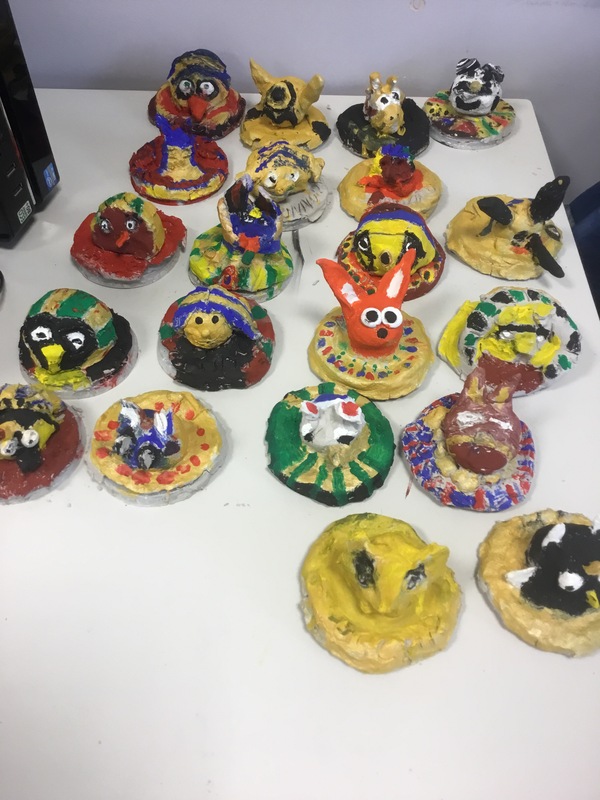 Making Egyptian canopic jars in Dove class. As part of our ancient Egypt topic, we have been investigating and writing about the gory process of mummification! 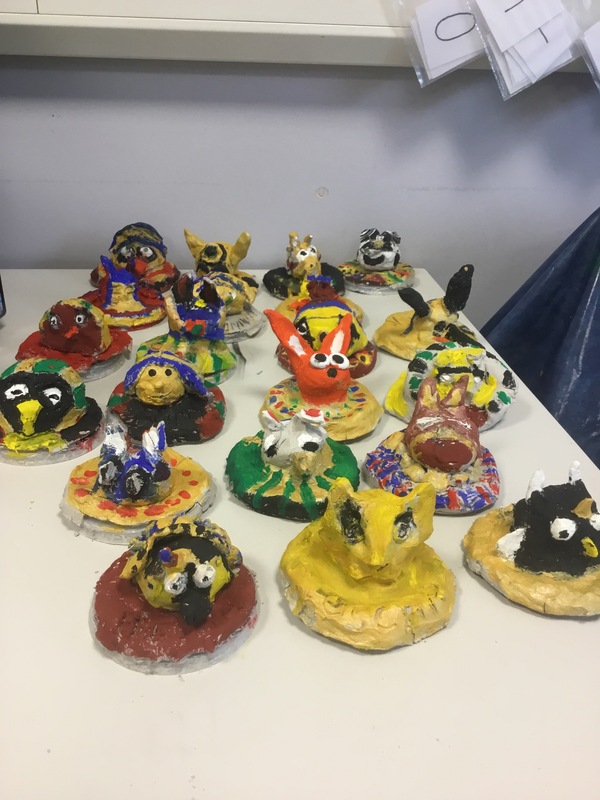 In art over the last half term, we’ve been making canopic jars out of air-drying clay. So far, we’ve constructed the head of the jars and children have designed, sculpted and painted them beautifully. In ancient times, these jars were used to store the bodily organs of the dead mummies. Hopefully, they won’t be used for anything quite so gory when they go home at the end of term!